There are different methods of calculating drug dosages. The Ratio and Proportion method and the variation of that method is the only equation needed to calculate oral (PO). intramuscular (IM) and intravenous (IV) medications. This eBook contains methods that are useful for students who want to avoid spending hours reviewing mountains of information. You are given examples of the Ratio and Proportion method and the variation of that method. Knowing a method of conversion is important. This ebook gives a method that you can use. 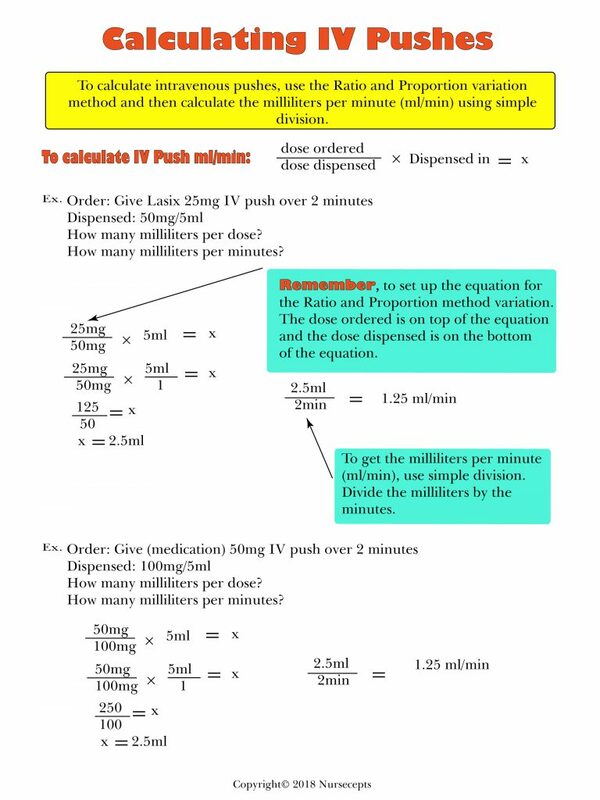 You will find you can calculate PO and liquid doses with the one method. The Ratio and Proportion method can be used to calculate IM doses. The Ratio and Proportion method and the variation can be used to calculate IV pushes, hours of infusion, ml/hr, piggybacks, and gtts/min. This is a page from the ebook. You are given step by step instructions. The equation used for each calculation is given. Several examples follow each explanation is given. 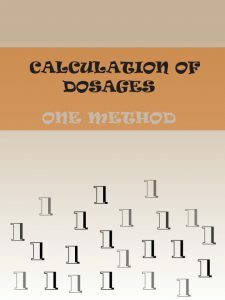 This ebook concentrates on the math and not the medications. One method for all the calculations.